If you’re like me, you hate taking tests. They can be a source of great anxiety. However, some exams help us learn more about a certain subject, like running, for instance. Since so many of us here love running, these tests can help us enjoy our sport more and perform better in it. Here are six simple tests that, when routinely performed, will give you more data on how your body is reacting to your training and/or racing load. Sometimes it’s just best to put away the watch and run by feel. Weather, altitude, terrain, and our own emotional and physical states affect the paces of our runs. Instead of straining to maintain a speed driven by a device, try implementing the ‘talk test.’ This tool will ensure our efforts fall appropriately in line with the workout’s purpose. How do we perform the test? There are three steps to the single-leg hop test. Complete the three steps for each leg. Start by hopping up and down a dozen times in place on one leg. If pain remains below a 2-3 out of a 0-10 scale (where 0 = no pain and 10 = excruciating pain), then you may advance to step two of the test. On the same leg, hop forward at a comfortable distance and then back to your starting spot 6-12 times. Again, if the pain remains below a 2-3, you may progress to the final step. Finally, test your lateral movement. Hop to your left on the same leg at a comfortable distance and then back to your right 6-12 times. If you’re still under a 3 on your 10-point pain scale you may proceed with your run. If you question your results, seek the advice of a specialist. None to negligible pain? Go for a run, but stop if the pain ever exceeds a 3 on the 10-point pain scale. If not, take the day off. Step 1: Collect two weeks of baseline morning heart-rate data. Step 2: Revisit morning heart rate once a week. Step 3: Note any changes in morning heart rate. A lower heart rate = possible fitness gains. A raise in heart rate of 5-10 beats/minute = you need more recovery due to overtraining, outside-of-running stress, dehydration, illness, etc. The test is easy: observe the color of your urine the next time you have to go. Clear: You’re drinking too much water: cut back or increase your sodium intake. Pale or transparent yellow: You’re normal. Dark yellow: You’re still okay, but drink some water soon. Amber: You’re not getting enough water. Hydrate now. Pink or red: This may indicate internal bleeding (often from bladder trauma in ultrarunners). Transient bleeding is common in ultrarunning. However, contact your doctor if it persists. Brown: May be a sign of rhabdomyolysis or muscle breakdown that can cause kidney failure. Contact your doctor if this persists. Cloudy: This usually indicates an infection. Contact your doctor if it persists. Foamy: Possibly a sign of the kidneys leaking protein. Contact your doctor if it persists. Step 1: Determine who you are at your best. Step 2: Identify and record the actions you need to take and elements you need to think about in order to better your mood. Step 3: Do this before tough workouts and races. Step 4: Practice this exercise frequently. What’s the best way to track the use of your running shoes? Technology abounds. Apps like Garmin and Strava provide ‘shoe trackers’ that enable you to track the mileage on each pair of shoes you wear. Or track shoe use in a spreadsheet or paper log. Once you near 300 miles, inspect your shoes for excessive wear. Step 1: Track the miles run in each pair of shoes. Step 2: When you near 300 miles, inspect the shoe for wear and tear. Also consider how your feet and legs feel after each run. Step 3: Holes in the upper, peeling of the outsole, the disappearance of the outsole (a visible midsole), and degradation of general support and cushioning are indications that you’re in need of new shoes. Sore feet, knee twinges, or calf tightness could also warrant a shoe replacement. It’s not rocket science. Start today and take a brief moment to evaluate your current physical well-being, mental status, and gear. These simple tests might just save you injury downtime and let you know if you need to modify your training and/or recovery regimen. Do you have any ‘tests’ you perform on yourself to help you measure your running health and well-being? Do you conduct any of these six tests or something similar to them on a regular basis? How do you otherwise keep tabs on yourself and your running health? Great stuff Ian, thanks for sharing. One thing missing here, what happens when you fail one of these tests? What are the steps for improvement? I can offer some help as it relates to test #2. Topo Athletic created a program on our website called ACU-Running (Assess, Correct, Unify). Developed in association with running coach and movement specialist, Brad Cox and Dr. Sonia Pasquale, ACU-Running will teach runners how to self-analyze their underlying mobility and stability weaknesses and imbalances, then show them how to correct those imbalances through a series of strength, mobility, and re-patterning exercises. Shoe salesman blames injuries on people not buying enough shoes. Oops, that wasn’t meant to be a reply. Except the people you are referring to as having that knowledge are trained very specifically by the people who want to sell shoes. There are no orthopaedic surgeons selling shoes to you, no one that truly understands bio-mechanics from a scientific basis. The knowledge you reference is not necessarily founded on science. That’s like saying because I eat steak I’m qualified to advise on butchery. Many of the road runners around my home town run in the road not on the sidewalk,this is because of the myth that running on asphalt is better for you than running on concrete (because it is softer – never mind the 2 inches of foam separating them from the surface) that ran rampant through the running community years ago. This is runner’s knowledge. Perpetuating this myth of the specialist running store for specialist shoes based on purported biomechanical knowledge is harmful – it is based on commercial considerations, not well founded knowledge, and leads to spurious diagnoses of the need for support or other questionable pseudo-science from a retail assistant who may have watched you for 5 minutes on treadmill. You must be able to see that? Thanks for sharing this informative post. You don’t run for the sake of running, you have to make sure that you’re physically fit too. That’s why it is important for runners to take this test. It is make sure that your body is capable of taking the long run. 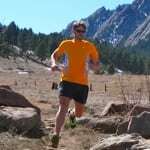 Cool article – one element that came to mind is that what works for me does not interest my other running partners – so individuality comes to mind. Shoe life: running neutral on an old injury to my lateral cartilage is an excellent indicator the shoes have moved from good t0 injury makers and get relegated to walk and garden shoes.